When replacement of the Sikorski Bridge spanning the Housatonic River was authorized, Paul Corrente and the Connecticut Department of Transportation (CT DOT) set about the design and development of a water quality monitoring program to monitor the contractor’s in-water activities to insure full protection of the river from perturbation. Corrente and his colleagues at CT DOT and Connecticut Department of Environmental Protection (CT DEP) have many years of experience in water quality monitoring at such sites. They know that the operation of such a program is vital to the protection of the river, but that is its also complex, expensive and can often be dangerous. The US EPA and CT DEP, through the Clean Water Act, require that construction activities, such as that for the replacement of the Sikorski Bridge, not result in a 5 NTU (nephelometric turbidity units) or greater increase of turbidity, above background levels, at the same depth, for two continuous hours. Making certain that in-water construction adheres to these criteria is CT DOT’s responsibility. Replacement of the Sikorski Bridge required years of in-water construction. In order to insure that river water quality was not impacted as defined by Clean Water Act criteria, monitoring had to be continuous and maintained for the duration of the project. In the past, water quality monitoring at such a site was performed hourly from a boat during in-water construction activities, with handheld technology being used to make measurements in vertical profile, upstream and downstream of the site. 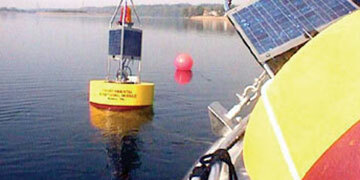 However, before proceeding with their standard modes and methods, Corrente looked for alternatives, and found a viable one being employed by his counterparts at CT DEP: YSI water quality data buoys. 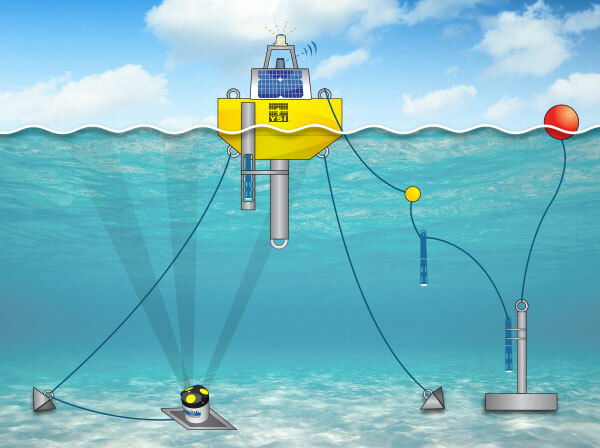 Corrente convinced his colleagues of the need for change and included two YSI monitoring buoys in the construction contract (purchase, installation and maintenance by contractor). 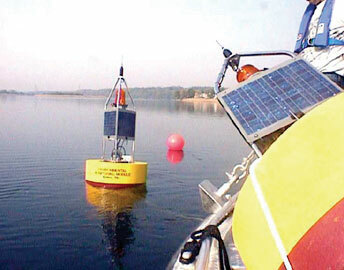 When the monitoring program was completed, the buoys were transferred to CT DEP for future monitoring projects.